Ha has used traditional embroidery techniques to depict images from Thanh Giong, a popular folk story about a war hero in Vietnamese history. These images were originally painted by artist Nguyen Tu Nghiem. 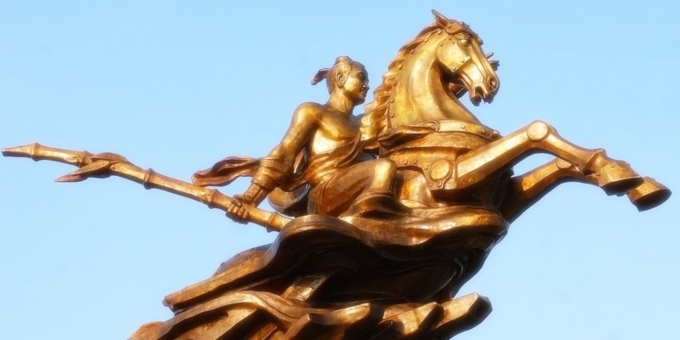 In the folk story, the boy Giong grows in size to be a giant hero, who rides on an iron horse leading the Van Lang kingdom (ancient name for Vietnam) to victory against northern invaders (Han Chinese). Brocade fabric with natural colors created by the Ta Oi ethnic minority group residing in central Vietnam gives the new collection a special look and feel. 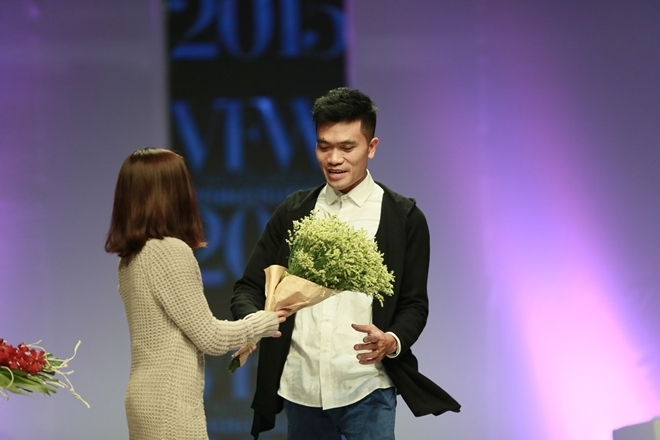 Vu Viet Ha has chosen a fabric traditionally made by the ethnic minority community for his latest collection. “I am always inspired by folk materials. On the background of the ethnic minority people’s traditional fabric, I attached raw silk and hand embroidery to create a visual stimulation,” Ha said. He also chose images from the Thanh Giong story for the collection, since it celebrates the power of national unity. Ha is one of the contemporary designers who advocate the preservation of traditional materials and promotion of the traditional dress ao dai. He often uses cultural images and historical landscapes in his designs. A velvet dress with a pocket of brocade details combines a traditional vibe with the modern. When he created the Thanh Giong collection on brocade fabric, Ha thought of Dang Linh Nga, a famous Vietnamese dancer, to model it. Linh Nga, often referred to as the “swan of the Vietnamese dance scene” has become the muse of many designers, and Ha is no exception. He thinks that her beauty is both traditional and modern. 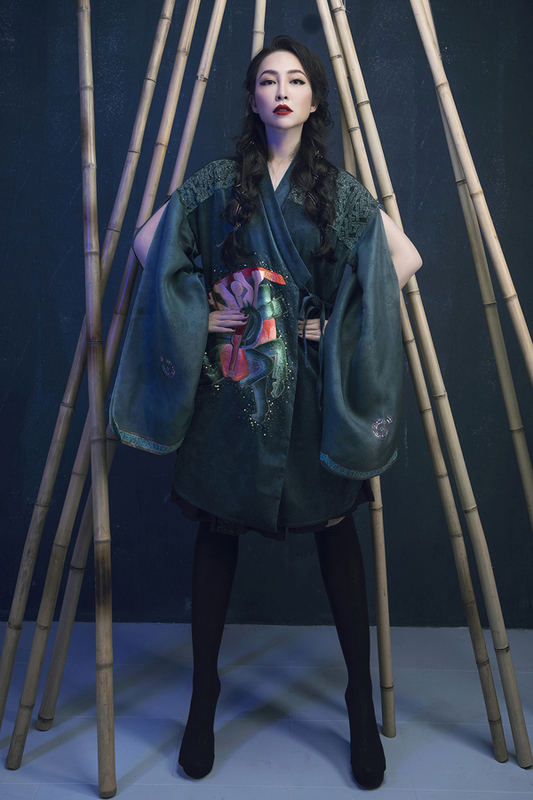 Ha said his latest collection also hopes to pass on an appreciation of folk culture to the younger generation. 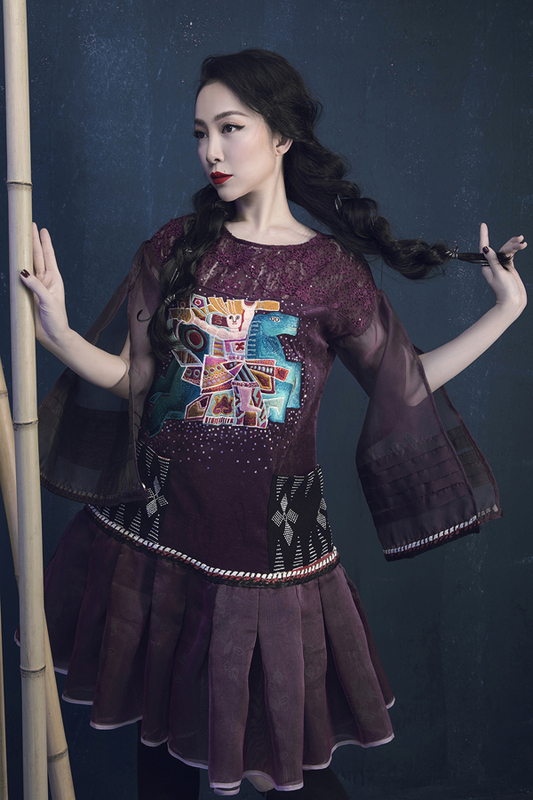 Through the design, Ha hopes to convey the love for folk culture to the younger generation. The Thanh Giong collection was showcased by Vu Viet Ha in the ‘Brocade Cultural Festival’, first held in Dak Nong Province in Central Highlands Vietnam on January 15.